Sometimes, when I’m bored, I like to roll words around in my mind. Perhaps that is strange, but I know for a fact everybody does it every once in a while.What I mean is, I think of a word, and visualize it, sound it out, and repeat it over and over in my mind. If you do this long enough, the word begins to lose meaning, because in doing this, you reduce it to a series of sounds. For example, the word door. Door. DOOOOOR. Door door door. Door. Door. I’ll do this, over and over again, playing with speed, tone, accent, whatever. And then , you step back, and realize that a thoroughly commonplace word–door–has become unrecognizable. Over-use has rendered the word useless. It might as well have been in a different language, because you no longer understand it in the way you used to. You still know it, and understand it, but in overuse, it becomes… alien. Different than you remember, or at the very least, different from what it was intended to be. Always trying to find an excuse to use this picture. One could say the same for the Bible, and this passage in particular. Everybody has heard this passage before at some point, and if not the whole passage, John 3:16. It’s perhaps the most memorized verse in the whole of scripture. It has even been called by some to be “the Gospel in a Nutshell.” However, I come to you to read this in the midst of Lent, and because Lent is a time of reexamination of ourselves, perhaps that can extend to the way we read the bible. We’ve been going on this journey the past few weeks talking about Getting Lost, be it in the desert, in carrying the load, or in complacency. Today, I want to talk about this passage, and in doing so, the concept that there is always going to be something in Scripture that is Lost in Translation. What do I mean by saying something gets lost in Translation? Well, translation is a sticky subject for me. A long time ago, a teacher of mine introduced me to an old Italian saying: Tradutorre, traditorre! It’s kind of a joke, meaning Translator, Traitor! (It loses some of Its sting, in the translation itself) To translate something is to be a traitor, to betray something essential to a word. 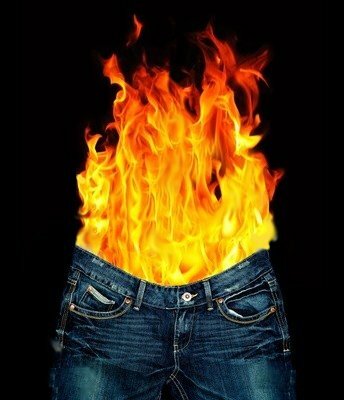 There is no such thing as a 1:1 perfect translation, and anyone telling you that has a 100% chance of their pants catching fire, because they are a liar liar. Languages arise out of cultures, and no 2 cultures are the same, much like no 2 persons are the same. Therefore, there will always be something changed in a translation by virtue of going from one state to another. This is not to say that it is a hopeless endeavor to translate anything, in fact I would argue the opposite. I think it’s an incredible and important task; just know that in doing the work of translation, one also engages in the work of interpretation. That’s why there are so many translations of the Bible: different people have different interpretations of what is being said in scripture, and how it Is being said. One then has the tremendous task, in translation, in deciding upon what meaning is lost. Which leads to the question: in what way? For that, you have to go back to verse 14, which talks about the time Moses was leading the Israelites in the desert. 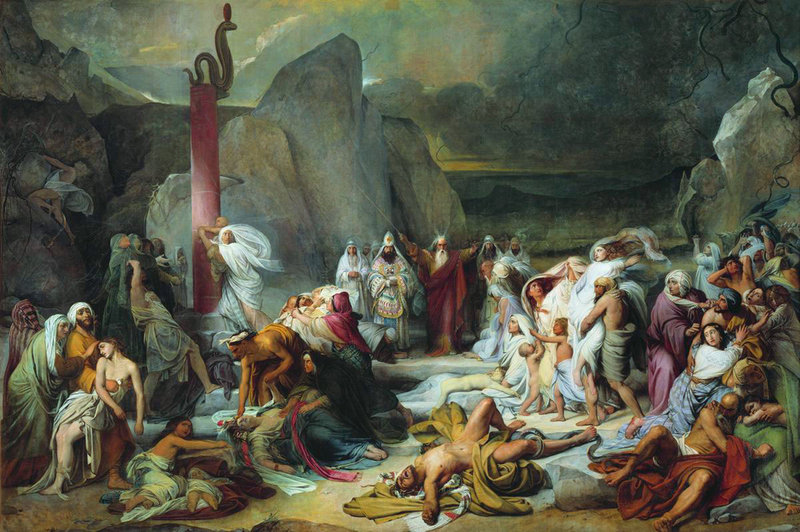 The people were complaining about all the snakes that were attacking people, so in response, he made a snake out of bronze, put it on a pole, and whenever someone was bitten by a snake, all they needed to do to be healed was to look at the bronze one. That begs the question, though: what does Jesus have to do with a magic snake? GLAD YOU SHOULD ASK. God sent the Son, the second person of the Trinity, to become human to perform a similar task as the snake. In fact, you could almost say that Jesus was a translation of God from divine to human, all the while retaining that divinity in union with humanity. Jesus, then would be the first perfect translation, performing task of salvation. That salvation for humanity is to save humans from their own death, into eternal life–divine life. Jesus translated divinity to humanity, so that humanity might become more divine! Some people would stop right there, and say that’s far enough for one day. I’m not most people. God didn’t send his Son into the world to judge the world, but that the world might be saved through him. See, one of the worst things that Christians do is use 3:16 as an excuse to exclude, as a bludgeon with which to beat the rest of the world into submission. 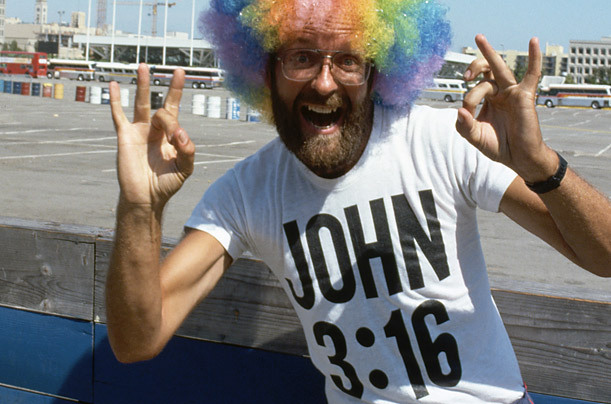 People emblazon themselves with John 3:16 on hats, t shirts, signs, billboards, anything they can, as if by simply informing people about the tiny snippet of scripture out of context actually does anything. If you but look at 3:17, you would realize that Jesus’s purpose is exactly the opposite of that. Do you know how I know that? Because Jesus says this to Nicodemus. Nicodemus is a pharisee. He knows the scriptures, the laws, the traditions, and heck, he even believes in the teachings of Jesus. But what Jesus is trying to get him to understand is, you can believe in all the right things, say the magic words, acknowledge a magic snake, and still not understand what Jesus is here to do. People who do the truth understand the light, and whatever they do is done in God. People who love Jesus, truly, and with their actions, are people of light. You can say everything right, believe in the right kinds of doctrines, and be a part of the right church, but unless do things in a manner that is just, and loving, and kind, and patient, and merciful, and humbly, and recognizing that you are not the center of the universe, then it doesn’t mean anything. We can repeat 3:16 all we like, but until we understand what is lost in between the translations, unless we can read between the lines and take seriously what Jesus is asking us to do, than we are just as lost in translation as Nicodemus is. That is our challenge, and that is our task. Live as someone in the light. Do justice. Love mercy. Walk humbly with God. Be someone who works the truth in the world. Don’t just give it lip service. Go forth, and do. Amen. This entry was posted in Uncategorized and tagged Christianity, Jesus, Language, Lent, Religion. Bookmark the permalink.